Some of you might think I am crazy. Others might be saying: finally, someone else has tried it! I now for sure that I am not alone on this. Everyone that loves makeup and watches NikkieTutorials has heard about the wonders of this Nivea product for man. Nikkie and other beauty gurus claim that it is a great primer due to the fact of having glycerin as its second most used ingredient and so I wanted to try and see it for myself. Let’s start by saying that it feels strange to apply a product that was not specifically made for women to use and that is noticeable on its scent. It does smell quite manly but nothing that bothers me too much. And the reality is that the smell is gone as soon as you apply your foundation. The balm itself has quite a liquid, runny formula. It is not thick at all or greasy. I like that. When applied, it is very moisturizing to the skin and what I love about it is that you don’t have to wait those 10, 15 or 20 minutes for it to sink into your skin like we have to do with moisturizers. You just have to rub it gently into your skin until it gets tacky. An aspect that I like about this product is that I feel that I don’t need to moisturize my skin with my regular products as this Nivea Post Shave Balm is quite hydrating on its own. Also I have noticed that when applied, some of the redness on my skin fades and that is another extra point for this product! So when you get to that tacky stage, that is where the magic happens. When I first used this product and applied my foundation I was blown away. I have used both a brush and beauty blender when applying foundation on top of the Nivea Post Shave Balm and it just blended so easily and effortlessly! I felt like I had a protective and even layer on top of my skin and that is where the foundation sets. So it did look quite flawless at first glance. And the most impressive thing is that it looked flawless for a very long period of time! I have reviewed the Fit Me Foundation by Maybelline here on the blog and if you read it you would now that although I love this foundation, there are some areas like my chin and T zone that it fades throughout the day. When I use this foundation with this primer that is the Nivea Post Shave Balm, I notice a huge difference! I applied the foundation on top of the primer and then went ahead to do a very long and exhausting 14 hours shift at the hospital and I have to say that the foundation has barely moved all day. Of course that after maybe 9 or 10 hours of use I could notice some fading but it lasted much more than it usually does with any other primer that I have. Overall, I must say that for the price this is a great product and, as a primer, it does quite a good job! I noticed a significant difference on the way my foundation applied and sets on my skin and also the durability of the base too. I admit that I am quite surprised with this product! I didn’t expect at all for it to be such a great primer. 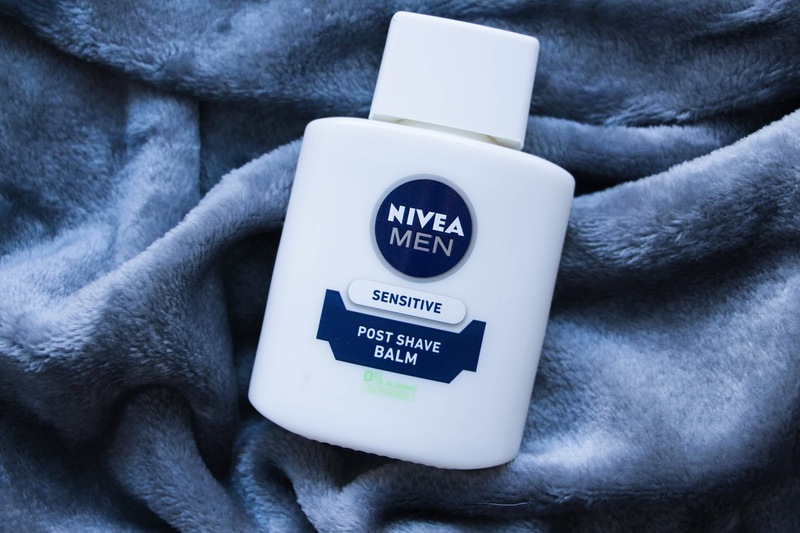 Have you tried this Nivea Post Shave Balm?